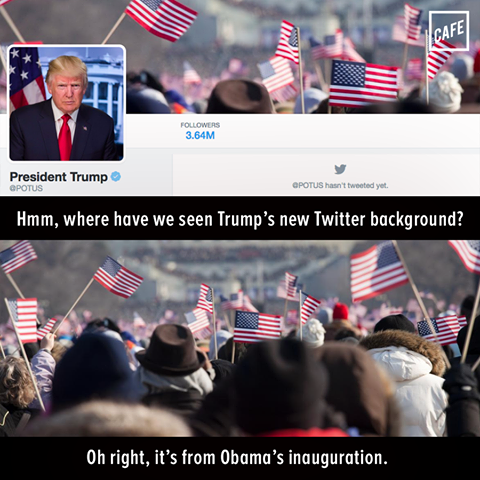 There's an image going around Facebook claiming that the @POTUS Twitter account is using an image from President Obama's inauguration. Is this true? Where is the original image from? 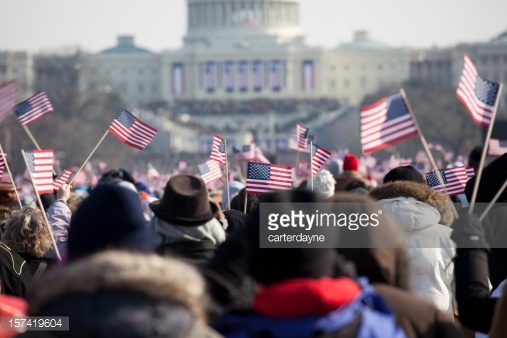 It is a photo from Getty Images covering Obama's 2009 inauguration. The inauguration of President Barack Obama, January 20th 2009. Unrecognizable crowds in the Washington Mall. You can note that the weather in the picture is quite sunny but the weather during the 2017 inauguration was overcast. Not the answer you're looking for? Browse other questions tagged united-states donald-trump barack-obama . Is the Rogue POTUS Staff Twitter account an actual POTUS Staffer?